Somewhere around 14 miles today. We keep working on our hill climbing. Tough. Long way to go. 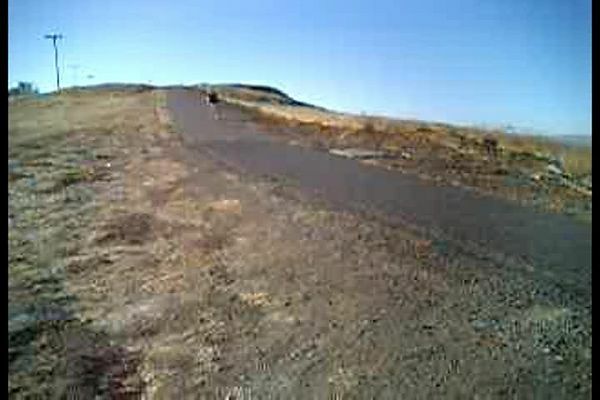 While on the trail I got passed by a road bike - I started tailing him taking my bike up to 18 mph. He was barely working. He looked back to see me on his tail and then sped off. This short video is all about speed. You work hard to go uphil and then you get to shoot down. 28mph on this downhill run.